iPhone is the best phone for mobile gaming, and there're a vast number of game apps for iPhone, ranging from bad to good, paid to free. 2017 will be a year of games - Many big games are expected to come to iPhone in 2017, including Fire Emblem from Nintendo. What are the best iOS games? The free ones. Here we pick out top 10 best free iPhone games coming out of all time, covering most popular iPhone video games in virtual reality, free racing games, world and puzzle, RPG, action games, sports games, top game apps for kids and family to play, and many more. MacX MediaTrans can export iPhone data (music, videos, photos etc.) to computer and reduce lag while playing best free games for iPhone, and meantime free up more space to download as many game apps as possible on iPhone. 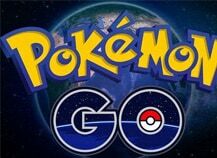 Pokemon Go, launched on July, was the most downloaded game app for iPhone in 2016. And Pokemon Go for iPhone, the best free iPhone game is going to bring in Gen 2 update, with 100 new monsters added. Will it beat Super Mario Run and become the most popular game for iPhone in 2017? Free download the best game app for iPhone and take part in the trend if you haven't. Super Mario Run vs Pokemon Go, which game app is better for iPhone? It's difficult to answer. 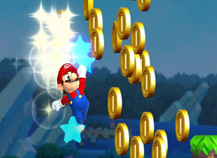 Super Mario Run gained 2, 850,000 downloads on day one, 195,000 downloads more than that of the above-mentioned top free game for iPhone Pokemon Go. But it's not totally free, only the first three levels of this top free game for iPhone are free of charge. If virtual reality is something you are fond of, put Roller Coaster VR to your list of best free iOS games in VR. Ranked as one of the best virtual reality games for iPhone in 2016, Roller Coaster VR received four and half stars out of five stars and praised as "big fun" and "has the best visual effect". In 2017, more and more good VR games are expected to launch. Shadow Fight 2 tops on the chart of the best free RPG games for iOS iPhone iPad in 2016. The best RPG iPhone game is totally free. Players should perform very well in your raid bracket to get gems with which players can buy good weapons. 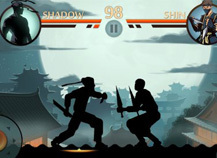 Another good news is that Shadow Fight 3 is said to come out in 2017. Rembember to update Shadow Fight 2 to 3. This is one of the most popular free 3D iPhone games. 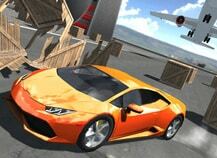 Flight Pilot Simulartor 3D has excellent graphics and gameplay and earned four and a half stars. "Simplistic but addicting!" The top free game for iPhone received most positive reviews. 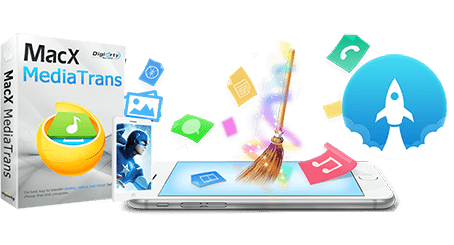 MacX Video Converter Pro can download gameplay video, game footage, game soundtrack 720p, 1080p, 4K, VR, to iPhone free from YouTube, Vimeo, FaceBook, Twitter, Dailymotion, 1000+ game video sites in a flash. For players who love car driving & racing games, Extreme Car Driving Simulator Free might be the best free car game for iPhone to play offline. It has crossed 30 million downloads. The graphics are good, the cars are cool, but you'd better ignore popping up ads, which is a small negative, but anyway, you'll get addicted to the top car game for iPhone. A highly recommended free iOS game app for iPhone users who love sports, especially soccer. It requires no wifi, meaning that you can play this best free iPhone game offline anywhere anytime. Many appreciate that New Star Soccer makes them feel like they're actually players. New version now adds support for sharing images of exploits to FaceBook. 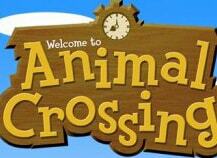 Animal Crossing for iPhone mobiles original planned to come out in 2016 but delayed. It is suggested that Nintendo's Aminal Crossing mobile app will be published at the end of March 2017. Based on hot Nintendo franchises of the same name, Animal Crossing stands a good chance of becoming best game app for iPhone 2017. It's a good free game for iPhone if you enjoy dancing together with friends or families. The best free iOS game gives 200+ songs to choose from. The iPhone works as a controller, and players need an internet-connected Apple TV, or Smart TV, or computer etc. 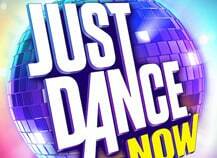 Just dance now. Have a good time with the best free game app for iPhone. 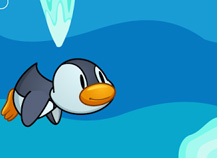 Racing Penguin should have a spot on the best free iPhone games list. "Slide down the mountains of Antarctica and flap your wings to fly." It's a top free game for iPhone to kill your free time. It's very fun and there're 40 racing levels. You'll want to spend a whole day playing it. Go to App Store, download the top free iPhone game and give it a shot. 2017 will see lots of top free games for iPhone (Xs Max/Xs/XR) in iOS 10 or older, among of which are Animal Crossing and Fire Embelem from Nintendo, the latter is expected to launch on February 2. We add a list of top free games for iPhone for players who want to dig out more, covering best game apps for iPhone 2017, 2016, of all time, and best free iOS games of all genres, racing, puzzle and world, family and kids, sports, RPG, and many more. The best free iPhone games list will be updated from time to time.